When the white Lumia 800 was dubbed an “exclusive edition” for Phones 4u, apparently that exclusivity wasn’t meant to last, or was just restricted to the UK. 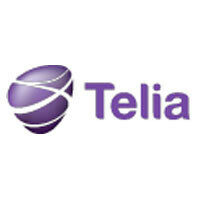 Today Telia Denmark announced that it would be expanding its product portfolio by offering a glossy white Nokia Lumia 800. Telia’s announcement was not accompanied by a photo, so it is not clear if this Lumia 800 will be the same as the one seen in the UK, or if its finish will be a bit glossier. What is known, however, is that the handset will cost DDK 4,156.50 with a 6-month contract and a “4Fun” subscription. That subscription offers customers a choice between four data plans depending on their usage. Telia and Nokia also recently released the following video to promote the Lumia 800. Like most of the other ads we’ve been seeing from Nokia’s camp, it is yet another creative and fun video that promotes The Amazing Everyday. That commercial doesn't have anything to do with phones.